What does it mean to love someone unconditionally? It means that you’ll love them no matter what happens in your life or theirs. You’ll love them even if they get sick, or lose their job, or even if they say something that upsets you. “Unconditional love is not an unhealthy codependent relationship where one person compromises everything to please the other. You both compromise and treat each other with kindness. Showing love means you’re in this together no matter what. You are the other person’s champion in life,” says couple’s expert and author Stuart Fensterheim. Loving someone unconditionally is a beautiful thing, but sometimes not everyone can have a partner who loves them this way. Many people may find that, after looking into it a bit more, their partner’s love does, in fact, have conditions. This may mean that their partner’s love is conditional on key factors like job security, health, wealth, or any other condition that could possibly change. If your partner takes issue with your own personal problems, and can’t seem to find the empathy to help you through them, it may be a sign that their love isn’t unconditional. “This often happens when one partner has fought through a lot of difficulty in their life and gained strength from their ordeals, while the other has allowed life’s trials to defeat and depress them,” says art director Catherine Winter. Unconditional love means that even if you have issues in your life from past relationships or from your childhood, your partner will love you even through the hard times. Everyone deserves to be met with kindness, patience and understanding when it comes to their personal issues, especially when it comes to their partner. If your partner is happy and receptive to your affection only when you’re spending time with them, then you might have a partner whose love has conditions. “When it comes to coping with feelings of jealousy or insecurity, couples can cross the line from love to possessiveness. They often intrude on each other’s boundaries and disrespect each other’s inherent independence,” says clinical psychologist and author Lisa Firestone, Ph.D. When people come together in a relationship, it’s meant to be two lives joining together as one. When one partner becomes frustrated or upset when they’re not getting all of the other partner’s attention, it can become a problem. Everyone should be able to have their own lives, hobbies, interests and time spent outside of their romantic partner. Unconditional love will allow you to have time spent away from your partner, while knowing they’re happy as well. Everyone has expectations of a relationship – how much time to spend together, how to handle finances, how to diffuse arguments. These are normal. However, if your partner has expectations for you as a person, it might be a sign that their love is conditional on those expectations being met. “Although, there is nothing wrong with having expectations in a relationship, having unrealistic expectations can put stress on, and ruin, any relationship. Invariably, unrealistic expectations are positively correlated to issues of power, manipulation and control,” says relationship expert Tarra Bates-Duford, Ph.D., MFT. Unconditional love doesn’t put expectations on someone’s health, how much money they have, or the job they’re doing. A partner who loves you unconditionally will continuing loving you even when you’re sick, poor or looking for a new job. When things change, as things often do, unconditional love will always be there to support you. A partner whose love is conditional will often shut down during an argument or shut down when the relationship becomes rocky due to outside influences. Loving your partner unconditionally means “standing by them during difficult times, whether that’s the death of a parent, periods of financial hardship, or when/if they suffer from a serious illness,” adds Winter. Even after an argument, a partner whose love is unconditional will not hold a grudge, and will still love you when the dust has cleared. Loving someone unconditionally means that things like arguments or tough spots in the relationship will not cause the love to falter or lessen in any way. If a partner’s love is conditional, you may find that they’re constantly trying to ‘change’ or ‘fix’ you in some manner, always implying that it’s for your own good, or that if you loved them you would do this for them. Unconditional love doesn’t hinge on the idea of having to change someone, or make them better in any way to continue to love them. “The kinds of people who are into CHANGING the core essence of a human being can often be extremely charming entities who are also masters at manipulating you into thinking YOU NEED TO BE CHANGED,” says talk show host Zara Barrie. 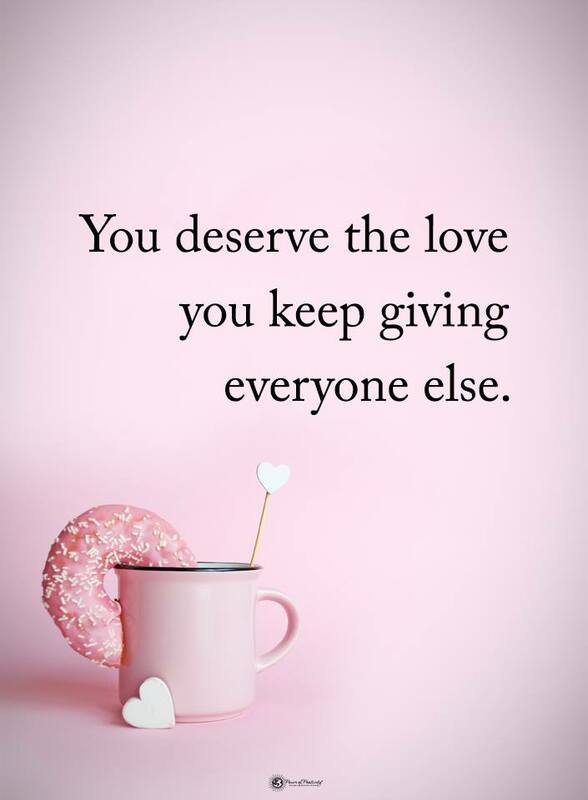 When someone loves you unconditionally, you’ll find that you never have to make changes about yourself in order to continue getting them to love you. You never have to “work” for their love by changing some part of your personality. After all, they love you for who you are. Unconditional love issomething to strive for in every relationship. It is “so freeing and transformative because it lets you stop trying to change or control your partner. You’re free to work on yourself and find even better ways to live together in joy and love,” adds Fensterheim. Even when things get hard, arguments arise, or life throws a curveball at you, there is someone out there for everyone who will love them exactly as they are, without any expectations or conditions attached to that love. It’s the kind of love that everyone deserves to experience.